I am a statistic. Sad but true. It’s the new year and here I am talking about getting healthy and—- budgeting. I created accountability binders for my kids months ago but it’s time that Josh and I had a little more accountability. I decided enough was enough and got to work. If you follow me on Instagram you may recently have seen a picture of my Friday night date…. the Ultimate Budget Binder. 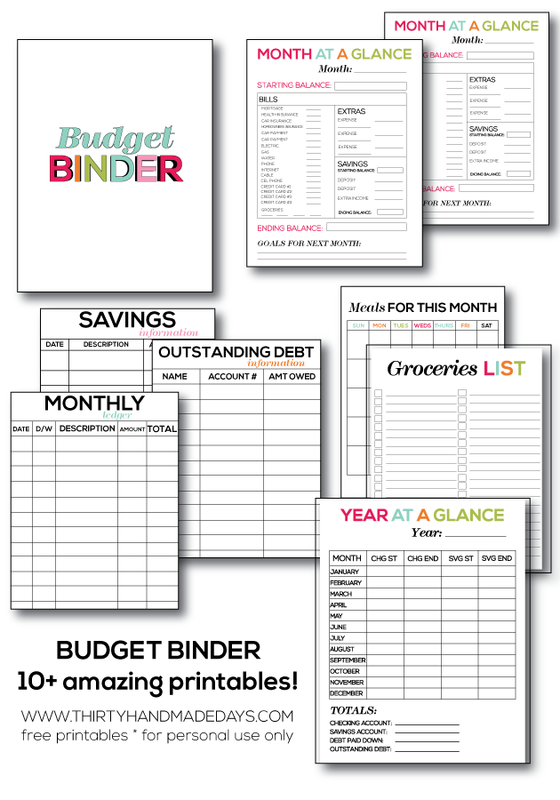 —>> I recently updated this Printable Budget Binder. If you’d like to get the current one, get more information here. Josh and I, as most couples do, came into our marriage with our own ways of spending money. One of us likes to spend on big ticket items, while the other shops shops shops to find the best deal but buys lots of little things that add up. Neither of us were horrible with money then but we definitely could’ve buckled way down. I wish we had. Hindsight is 20/20 though, right? 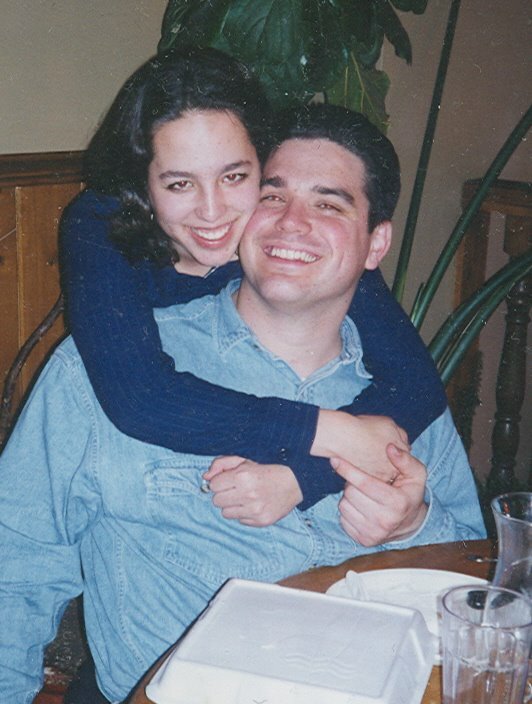 Here we are early twenty-somethings, engaged and blissfully unaware…. Josh has been in the collection industry since he was a teen (his Dad owned a collection agency and he still works in that field). He knows WAY more than the average person about credit, debt, etc. I was a little more naive but TERRIFIED of getting in trouble. Although I don’t like to follow the crowd necessarily, breaking rules scares me. The idea of bouncing a check (which used to be the only way to pay bills a million years ago) was horrifying. So I walked the line but never fully embraced a budget. Or we’d try and then one of us would spend and the other would try to nag him into not doing so…and then that one person would get fed up and just start spending again. Hmmmmmph. We are now at the point of our lives where our kids are a teen/pre-teen and elementary schooler. They are growing up FAST. College, weddings, retirement, etc will be here before we know it. It’s crazy to think about that but I know that time will zoom by. Or that’s what they tell me. SO- here we are- 15+ years later, trying to whip into shape. Financial shape. Budgeting still scares me. Probably because we’ve failed before and I don’t like starting something that I know I haven’t accomplished in the past. Oh well. It just needs to happen. I sat down and started brainstorming the kinds of things I wanted in a budget binder. I came up with over 10 printables. I’ll continue to add more as time goes on and I get a feel what works best. Without a doubt, every family is different. So what works for us, might not work for you. I hope you’ll be able to gain something from these sheets though. Note: I updated the Month a Glance to include groceries on it. After the picture was taken. The correct one is included in the packet. Weekly Ledger: to record all of your expenses and deposits, like a big checkbook balance but more obvious than that tiny little thing. You can print 4 for the month. Monthly Ledger: Similar to the weekly ledger only with a longer time frame. Note: D/W on both stand for “deposit” and “withdrawl” like in a traditional checkbook ledger. Savings Information: A place to put all of your savings information to keep track of and watch it increase throughout the year. Outstanding Debt Information: A place to put all of your outstanding debt to keep track of and watch it decrease throughout the year. Month at a Glance: I included the version I will use with basic bills in it as well as a blank version. You will fill this out at the beginning of the month and check off the bills and fill in the totals. There’s a spot for the starting balance and ending balance. You also have space for extras that you might not traditionally have each month. I included the savings portion as well- to show when you deposit or transfer money into there as well as a starting and ending balance spot. Goals are included so that you can keep moving forward. Year at a Glance: Similar to the month at a glance but more of an overview of the entire year. You will transfer monthly information onto this sheet so that you can see where you started and ended each month in checking as well as savings accounts. Meals for this Month: Having a monthly meal plan will help cut down significantly on grocery expenses. Groceries List: This is to help you have a plan when you go to the grocery store and to cut back on unnecessary extras. Laminator– I use this at least once a week. This is awesome for the meals for this month & grocery list. Use a dry erase marker and re-use every month! To download this Budget Binder, you need to be a subscriber of my newsletter. You can simply do that here and will receive the download right away. As always, for personal use only. Thank you! These are not to be printed and resold under any circumstances. Copyright © Thirty Handmade Days. Please refer to my Printable FAQ’s. Click below for other binder posts. Full to brim with ideas on how to better organize your life. I’d love to hear your tips/tricks/ideas to setting and maintaining a budget. Leave a comment to let me know what works best for you. Thank you so much Mique for this awesome post and free printable budget binder set! I am a student going for my bachelor in my junior year. I work per diem along with going to school, and I am trying hard to keep track of my income as well as my spending. I have no major bills (Thank God) because I still live at home, but I want to start early with training myself on keeping track of my spending. This will help me so much! Thank you again!! I am not 100% sure what the difference is between weekly and monthly ledger? a couple of suggestions for your budget. Everyone should have a bit of money for whatever. We have two lone items. Allowance – play money for anything you want, even if it’s only $5.00. A drink when you are out, a new lipstick. You get the idea. That should have read line item, not lone item. Really. Paper and binders? lol. It’s 2014 people. We have apps for that on PC’s, Mac’s, iphones, ipads, Smart Phones and Tablets. WOW! Thank you so much for this! I know all about the opposite spending habits.. my husband loves to spend and I love to save. I think we’ve found a pretty good balance after 5 years of marriage. We’ve come up with our own budget sheets but yours are much cuter :) Thank you for taking the time to share your ideas with people and allowing us to use your adorable printables! Just brilliant! Thank you. I almost feel guilty for taking and using all of your ideas. This is EXACTLY what I’ve been looking for. gastric band. Safety is also assured when taking Adiphene because of its natural ingredients, which means that serious side effects are unlikely to happen if taken as directed. The printables are great! I can’t wait to start using them. Thanks for sharing. 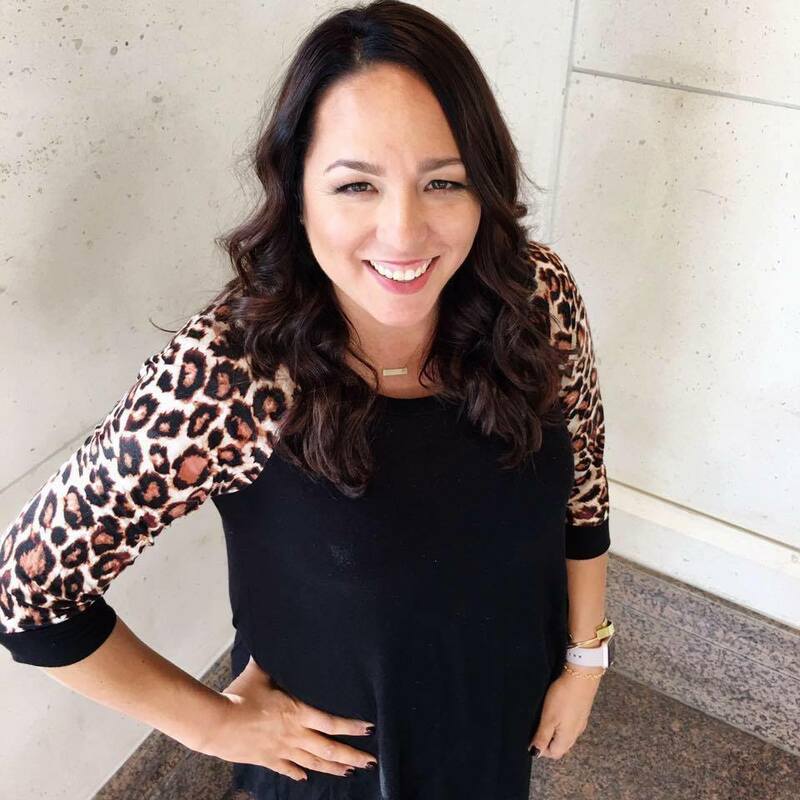 I am so glad that you have this for free, my husband and I are so far behind in our bills because we have no way of keeping track of what we have and we are both tired of struggling each month. Now that I have the printed all I need to do is find a binder to put it in. Thanks for making this download free and working so hard on it. Thanks so much for making this printing process painless and so creative. I have been underemployed for a while now, and budgeting is so difficult, especially when the prices keep rising. I appreciate that you freely shared your hard work, your passion, and your hope of helping others with this wonderful tool! Thank you. I am going to make a start. This is amazing!! I do everything in a notebook and I’ve been wanting to create a binder, with my own business, deployed husband, and our babies, it has been difficult!! Thank you so much for sharing this with us. You have saved me a lot of time and frustration. Great stuff!! Thank you so much for sharing. I’m a single mom and this will help me budget as well as teaching my daughter to plan ahead. Hello, I am interested in trying your FREE printables. I attempted to print the main budget binder (total of 12 pages). The 12 pages were showing in my print preview and then I hit print. The first 2 pages printed and then I received 45 pages that went through my printer and they are ALL blank. I too am also looking for workable links to print the school binders and accountability binder. Thank you. I do appreciate any assistance that you are able to offer. I am excited to utilize what you have put together here. However, I am unable to get them to print properly and/or find a working link. Would you happen to have these in an excel format? I don’t want to re-invent the wheel. Thanks for sharing. Do you have links to the kids binders? The school and accountability ones? Hello, I was woundering if u could actually email me the sheets u got?? Thanks so much for sharing this…I’m going to print it out and make binders for a couple of young, starting out, folks that I know. This is great! Wish I had something like this when I was starting out. Good JOB! As you see my name is Susan. I am a retired Air Force Veteran. I was sent your page by my sister-in-law and I really find your page to be efficient and a helpful way to plan out and keep track of a household. You show your budget pages consisting of pretty much all possible expenses for a month. But could I make a minor suggestion? This is just an idea, because of past experiences how about a page/receipt pocket that could be added titled “Detailed Extra/Unexpected Expenses”. This could give you a detail of unexpected added expenses for the month, such as; Car Repairs, Medical Expenses, Home Repairs, or dealing with households with children added School Expenses! That way you have a handy record of where you spent extra money and which month it occurred. Also here are other ideas for other types of binders you could include in your collection of Binders, but remember these are just ideas that I think might be useful ones. I see you show on this page binders for; Budget, Mini Budget, School, Accountability, and Family Holiday. But how about binders to help keep track of these types of important information? 1. A Binder named “Important Papers and/or Documents”. This would be a good place to keep similar items all in one place for easy access like important papers such as; Birth Certificates, Marriage License, Contracts with various lenders like banks, credit unions, Credit Card Companies, or insurance companies. 2. A Binder named “Product Manuals”. You know whenever you get a new product, they always have a booklet on how it works and various other information dealing with it, this would be a good way to keep that information all in one place. 3. A Binder named “Medical Records”. Which deals with a section for each member of the household to keep track of medical records like; Inoculations or Vaccinations, Doctor Appointments, Lab Work, Prescriptions, and Hospital Stays. But please remember these are just a few extra ideas, that I came up with that might increase the efficiency of keeping track of things in an average household. If by any chance you think any of them might be useful please use them in any way you wish. But if not that’s ok, they are just a few minor suggestions. I have a quick question on the trackers – How is the monthly tracker different than the weekly tracker? Would you track every week’s ending balance onto the monthly tracker? Or is it more of an either/or preference? Thanks! 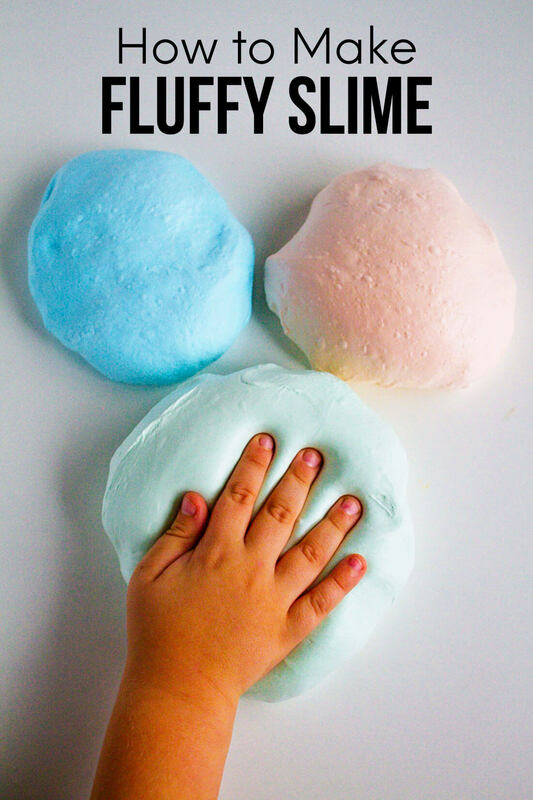 I found your technique on pinterest and I decided I am going to try it…i just have to stick to it! Your budget binder is exactly what I need!!!! I have always had trouble with budgeting- hever knowing where to start… Thank you!! Thank you so much!! This is so perfect and so so helpful. I know I speak for everyone here when I say YOU ma’am are amazing!! Praying my husband will be as excited as I am to finally DO THIS! He’s on board, but you can tell he’s just not excited like I am. He just sees the fact that he has an allowance at 38, I think. :) Maybe once he sees bills getting paid off and savings adding up he too will get stoked! Thanks so much for this great tool! We will be utilizing it completely- kicking and screaming or not! WOW!! This is all so amazing. I can’t wait to go get everything (that’s half the fun) and get started. Thanks for taking all the time to put this together for everyone!! Hi! 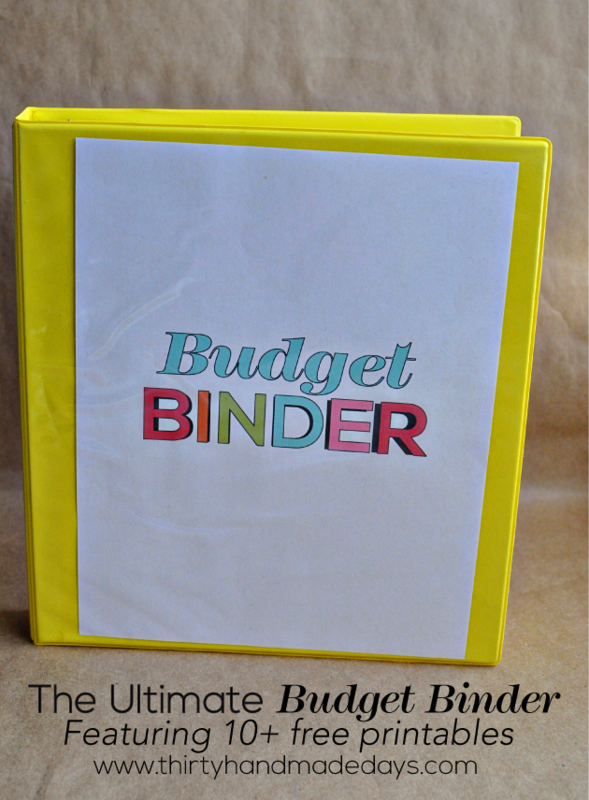 Just wanted to say I love this idea of a budget binder! great from someone like me who isn’t exactly a “budget” type of person. I’m just having a little bit of difficulty printing them out. I have a Mac computer (not sure if that has anything to do with it?) please help! :) thanks! I just found this today and am so thankful. I am a 23 year old college student who has already managed to get a fair amount of debt built up unfortunately. A small portion of that is student loans that I thankfully will not have to start paying back until I have a career going, but the rest sadly is credit card debt due to having to live off a part-time minimum wage job and what little financial aid I have left after tuition. Finally, I have had enough because even with all the things I’ve tried, I have still not been able to find and stick to a budget I like. I am really hoping that this simple, easy to use budget that you’ve made will help me to get my expenses under control and work down my debt. Thanks so much for this resource! I’m moving into a new house and this is perfect for helping to tackle the budget with a mortgage now. THANK YOU! I am really glad that I found this because I am in the process of learning how to manage money and was getting a little overwhelmed. The downloads were extremely helpful in getting my binder together. I have since made some alterations to a couple of the pages and add some from other sites, including budgeting spreadsheets, but would not be where I am without help from here. Thank you so much! Could you make the Accountability Binder printable? I’m going to be a freshman in college, and even though my parents pushed me into financial independence as soon as I hit high school, I was (still kinda am) feeling so very overwhelmed about moving away and being on my own and trying to financially take care of myself! Though I don’t have some of these expenses, this is definitely helping me get on track before moving away and hopefully helps me stay on track! Thanks for the great ideas! I’m so glad I found you on Pinterest! 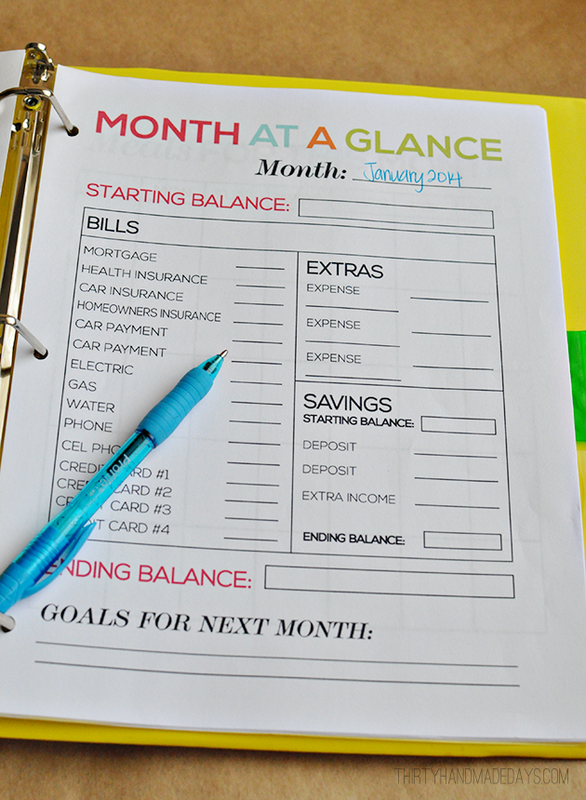 Your Budget Binder has definitely helped me get my act together with organizing our family. Thank you! May you and your family continue to be blessed. Do you have anything for the mini budget folder that is for password organization? HI! I LOOOOVE this!!! But I was wondering what hole puncher you used for the mini binder? I’ve been pulling the papers out of the sheet protectors every time I need to write on them and a hole puncher would make it sooooo much easier! I’ve tried everything to print these out! Any suggestions? Hi ! Where do I find the printables for the “Budget Binder” .. I know that it would be so useful for me ! impulsively. s the best way to start reducing your debt till you will be finally debt-free. Thank you, I’m going to start asap:) you did such a great job!!! Kendra- sorry you are having trouble with printing these pages. I had no trouble I clicked the download and they came up just fine as a PDF and then I hovered my mouse on the bottom right corner and it gave me options to save to my computer or print. It’s all there. I printed the pages and am ready to use them, I will be blogging about this on my webpage and personal facebook page. THANK YOU! How did you print it out? I’ve been trying for like 30 min and no matter how I try to open the link, it still doesn’t work. :( I have adobe downloaded on my computer. I love the idea! I tried to do this (or something like it) with a blank spiral notebook, with no success. Hopefully this will work better for me! This is so cool! Do you think you could come up with a few for college students who work and go to class? Thank you so much for the links to print all of these binders out! I’ve been looking for something like this for ages. I have such poor organizational skills and this helps me BIG TIME. Fantastic. Good Job! Wow this is all so great! I can’t imagine how much time it took to make. I’m 23 and desperately trying to set up some sort of system for myself and my boyfriend. This will be a great start-thank you!! I’ve been trolling budget ideas regularly for the last year. I am a huge fan of Dave Ramsey, but I didn’t love his printables. They were sort of daunting. I came across this system and I finally feel hopeful! Thank you so much! I love how simple and organized everything is; it totally makes sense. I am curious about how you use the ledgers. For the weekly one, I plan to record every expense like a checkbook (as you instructed.) For the monthly one, do you just record the ending balance of each week? Or do you record EVERYTHING in that one, so that its all compiled? No worries if you don’t have time to answer. I can work around it, too. People like you are the reason why my small, young, in debt family are finally able to get their finances on track. I have to be super organized or its a bust and these will definitely help me do just that! Thank you so much for offering these free of charge. I plan on comming to this blog more often and recommending friends to check it out. Finding this saved my day! I pinned it already and I’m giddy to print them off! First of all I really appreciate this binder is free to download without any forms of payments and making an account. I recently got married and realized how differently my husband and I are when it comes to spending money. I know this will guide us to save some extra $$ on the side for the future. I love your binder idea and wanted show you mine..maybe you’ll find something useful in there to add to yours to help you with your goals. :) http://2blanketmonsters.blogspot.com/2013/11/seeing-red-with-money-and-mail.html Keep up the good work! I love the set up of all of them so great!! I love this! Thank you for putting it together! My husband and I are starting the adoption process and this will help keep our monthly expenses in check so we can save up for the adoption. I can’t download it though. Is there a trick? Could you email it? Thanks again! Thank you for this! I just stumbled across your website and I’m in love! I have been trying to figure out a system to get my household organized and I think your binders may be that solution! I appreciate all the work that must go into these printables. Thank you!! Thank you so much for this! I found this last night and sent it to my husband! We are a one income family for the moment and really need to find ways to make my income stretch and still have a good savings account for those moments that we need that extra cash ! Not to sure what the D/W means on the monthly and weekly ledger? My New Year’s resolution was to become more organized and financially responsible. This is an amazing way to do both! As a graduating college student, I am so so thankful for such an easy and efficient way to stay on track! Thanks so much for sharing Mique! You’re a genius!! Thank you so much for this! My hubby of 7 years and I have been doing OK but just need to buckle down. This is great and I will definitely share with some of my other friends in need. What a blessing…. I love this!!! I do have one question tho.. what does the d/w stand for on the ledgers? D stands for deposit and W stands for withdrawl. Thanks! How can I downloaded this and get started on this. Amazing. This is a great idea and I will certainly use this to organize my life :D, thanks!!! 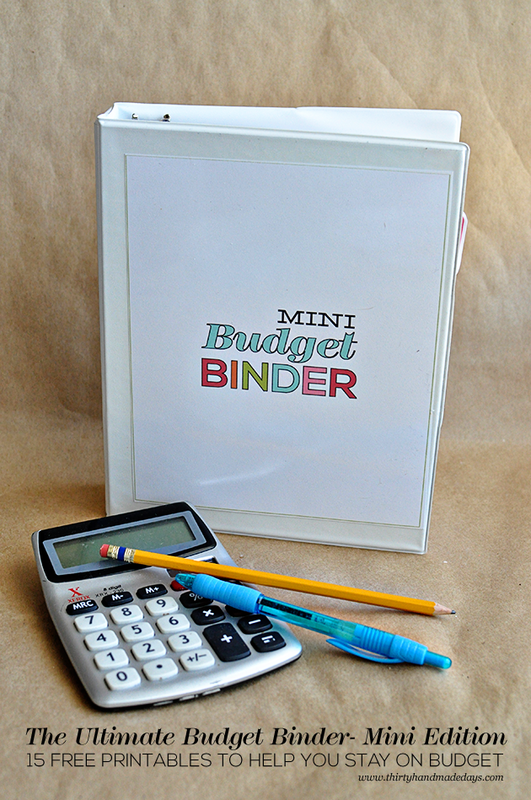 These are one of the best budget binder printables I’ve seen. Thanks for sharing! I’ve pinned for later reference! Not only do I love all the hard work you did on these downloads but I love, love, love the fact you made a mini size! I am addicted to the small sizes of binders but hardly anyone makes printables to fit them. I am so excited to play around with these sheets to get us into shape. Thank you! Oh yay! So glad you like them Stefanie! I’ve toyed around with making everything in the mini size but it’s a lot of work. :/ Glad to hear that you appreciate that I made some minis! thank you for sharing. This is just want I’ve been looking for. Thank you. Thank you. Thank you. Thanks so much for sharing. I teach juniors and seniors and try to instill the importance of budgeting. I try to find activities for them and these forms will be helpful for next year. Is anyone else having a difficult time getting the planner to print in the right format? Mine won’t seem to fit correctly onto the paper? The words get cut off. I’m having troubles with the format of the weekly, monthly and savings pages as well. Everything else printed perfectly! Also what does D/W mean on the ledger pages? Hmmmmm not sure what happened Deanna. I just printed here again to make sure it worked and it does. Sorry about that. D means deposit and W means withdrawl. Thanks! Hi Kelsey- make sure that your printer settings are correct. I double checked again to make sure and it prints fine on my end. Sorry about that. Hey! I love this! I’m currently making a mini binder for my boyfriend and I– We’re beginning the home buying process and needed a way to get all the finances organized on one place so this is perfect! (: I wanted to know what font you used for the pages I’m making a few sections for the house hunting, wish list, finances, etc and would love it to match the rest of the pages you created! I love your website, but for some reason I am unable to print the printable portions of what I would like to use! Could you please help? I want to print the monthly budget printable….but it won’t download. What am I doing wrong? I printed the Family Binder and the Budget Minder and they look really good. I hope I can get myself and my 90 year old mother organized real soon. Thank you so much for the pages! Thank you for the printable budget. I love lists and this has helped me. I also like to cross off items (get that feeling of accomplishment in my crazy day – 5 kids and my own business). I just take a highlighter and in my best swashbuckling pose, i mark off the “dreaded” bill. keep a separate bank account for vacations too. Thanks for your sweet comment Jessi. Congrats on your recent wedding! I am just starting this so it looks great, I have even passed it on to a couple of friends. This suggestion came from one of them and that was to add a sheet for child support so that you can be updated on what is paid and what isn’t. Then I thought of spouse support/alimony sheet as well because those are things that some people do need to consider when budgeting and trying to save or pay things off. I just downloaded your binder print outs for the budget to keep my spending on track now that i am retired and only receive money at the beginning of month. I also looked at the others and seeing how I can adapt for my needs with setting up my sewing/craft room with a reasonable spending budget and planning. I have a good start but still need a few essentials that can be accomplished with a budget plan in place. You should check out You need a budget software. It’s definitely the best money management software I’ve ever come across. You can get a 34 day trial. I love the way you set this up. I’ve was hospitalized for several months and my husband was in charge of every thing. He never had to handle bills, budgets, and keep up with groceries. It has gotten way out of hand. I just had a bill list to cover paychecks. My couponing was totally discarded. I lost my hands and feet and am trying to get back on track. This is just what I needed. However I can’t get it to download. Can you help me? Hi there! 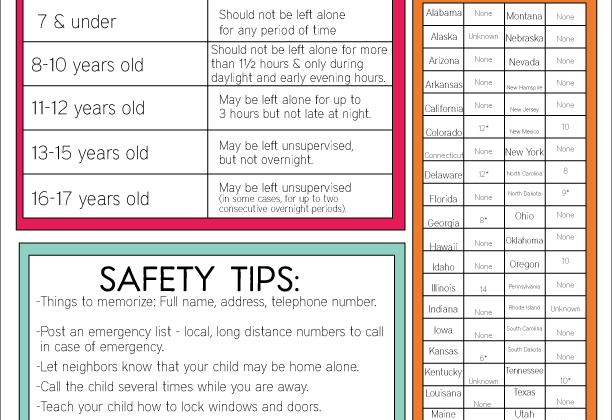 I love these printables!! I have a some with ADHD and an emotional disability and I would love to create something along these lines for him for school and homework, chores…what progam do you use to design them? I have experience with designing stationery, but not sure how to best deign something like this for him. THank you!! Hi Becky- I use Illustrator for all of my printables. Thanks! Thanks for the printables!! I’m new to your blog & can’t wait to check it out. Thanks so much Whitley. Welcome! I have pinned and re-pinned LOADS of printables, but these are cute and exactly how I would lay things out if I were to make them (key word:IF ..but never do!). I am such a visual person so this is going to be so helpful. I am printing as we speak. Oh thank you so much Grace. What a sweet comment! i love the way you have made the binders so user-friendly and appealing to the eye. anything to get people to use it, right? i am an accountant and the only thing i would say to add to the budget binder is a row to mark an expense as a tax item and add a pocket for tax return receipts. That will keep everything that you will need for your tax filing separated from the other receipts, so you are not searching at tax time. I am sure many are feeling the pain of not keeping things separated now that it is tax season!! What a great idea Susan. I am for sure feeling that with tax season. Good idea to update in the future. Thanks! Something we do also is one bank account for the bills and one bank account for spending. Helps to make sure what needs to be paid is paid and the other account, once the money is gone so is the ability to spend so you don’t have the temptation of going over. Good idea! That will also keep your money safe from anyone that gains access to one of the accounts. Your other account will be safe as long as they are not tied to each other in any way, like a savings and checking, or a sweep account. I LOVE THIS! It’s going to be a new year for me career wise and financially, so this is a blessing! I was hoping though, if you could make this customizable for those of us who don’t have a subscription to pdf? As always though, top shelf printables! Thank you. Thank you. Thank you. I am constantly looking to update, tweak, or revamp our money system. I do a binder just like you. I love some of your ideas. My favorite, by far, is the month at a glance. Very clever. I will bu putting a few of these in my binder. I absolutely love this! From the organization to the wonderfully bright colors, this has inspired me to kick my organization up a notch! Thank you! This is a great idea! I am in the process of printing out your sheets. Thanks for sharing! Love this! So pretty and functional. Pinning! Many compliments for this hard work and thanks for sharing with us! This project is what I was searching but I’ve some questions: can you make an example for expenses for “outstanding debt”? In the sheet “Year in a glance” I would to know the meaning of the voice “cheking account”. Because I live in Italy, some terms do not coincide. Thank you so much for offering such beautiful printables! I have printed mine out and cannot wait to update my budget binder. Awesome, awesome!! You have a great set up there of printables. not sure all of them I’d use but can we download them FREE or is there a charge for it? Sometimes my reading disability/comprehension gets in the way and I have downloaded something from a major website and it ended up costing me so now I’m especially careful what I download. This is EXACTLY what I have been searching for! I’m graduating in May and have been looking for an easy & organized way to keep track of my finances (hello adulthood!). I was wondering if you had a version available that can be edited (to list bills specific to us). Also, I found a tiny typo on the word “cell phone” =[ I’m sorry I’m OCD! Thanks for this fantastic collection of printables! Thank you so much for these great printables! As a single parent starting on Dave Ramsey’s budgeting program, these are perfect (and so cute)! OMG this is just what I need for my family!!! Thank you so much for sharing this!! Printed it all out and gonna go buy the supplies! Dumb question though…..Do you use the dividers to divide up the different months? Or for the different pages? I’m guessing months, but it seems like fitting 12 months in a 1″ binder may be tight. I just clicked on it on my end and it worked just fine. You have to have something that can open PDF’s to open it like Adobe Reader. Sorry about that! This looks great, however, when I click on the link to open the pages for the binder, nothing shows up! Can someone help! Hi Jessica- I just clicked on it from the site and it opened for me. You have to have something that can open PDF’s to open it like Adobe Reader. Thanks for sharing! I love this awesome organizing idea. New resolution added; be more organized! Thank you for this budget tool. I have been a broke single mom for years until recently. My wonderful boyfriend and I have successfully blended our families and are doing great….except in the budget department. We both came in with a bit of debt and our goal is to be completely out of that hole in 3 years. I have searched and searched for “friendly” budget planning and yours is by far the best one I have found. I am currently sitting at the desk printing them off. I can honestly say, I have never been so excited about working on a budget. LOL. Thank you again. All, this is a great idea but you need a solid foundation on how to utilize a budget and have a frank & honest conversation with the other half (if one is involved). Also, please consider and check out the teaching and advice of Dave Ramsey; he’s all over the radio and internet and teaches a few basic principals on how to dump your debt and manage your money, without any judgement, no matter how bad your finances are. He has a few books out and after reading his first one, I was hooked. I no longer have any debt, except for my mortgage. With the excellent binders her & a few ways to make it work from him, your goals can be realized and exceeded. Stick with it! This is really great! but you could save money on sticky notes there and you don’t need a laminator if you don’t have one already. print out these wonderful sheets and put them in the plastic page protectors in your binder. Get some WET erase markers (not dry as they will rub off easily) as these don’t come off till you wipe them with a damp cloth or towel. They are about $6 for a pack of 6 different color I believe. I love them! I love this so much and need it desperately! THANK YOU! These are so great! My husband and I definitely need them. Thanks for your hard work and sharing them! Question: what program do you use to create them? Thanks in advance! I have searched and scoured for hours looking for a printable organizational system that I like and finally I have found one! My friend shared your budgeting printout on her facebook page and I love it. The steam line look of all your printouts and simplicity makes them perfect for what I need thanks so much!!! I love your printables, they are great! I was wondering if you had an editable download available, to personalize it to our needs. Thanks! I was wondering the same thing. I have the blank form but would like to be able to make it neat, instead of handwritten. If there is no way to download an editable copy, what program do you use to create your printables so that I can draw one up to meet my families needs. Thanks so much for these great printables. I was going to try to figure something out myself when I found yours. So well thought out and Much cuter than what I would have ended up with. Four years ago my husband and I discovered Financial Peace University, put the information into practice and we are better off than we ever were (AND I retired!). Check it out online. You will be able to get on the same page. These Budget Binder forms are an excellent tool that would fit right in and I just printed them out today. Tomorrow I will reorganize the binder I now use. This will simplify things, for sure! Thank you for sharing! I recently got married and have had such a hard time budgeting! Im sure this will come in handy! Be sure you have copyright on this! Thank you SOOOO much! My husband and I are in the throws of a sudden change up and are *DETERMINED* to get our spending in check and build up savings to make things we’ve been putting off happen NOW, not later, or worse, the seemingly eternal “some day”. In addition to a new baby (3rd! and a surprise), running TWO businesses, buying a house/moving away from the little ol’ hometown, we simply can’t afford to put off a budget and more spending accountability any longer. I’ve tried making a binder similar to this, but never finished any attempts I started. YAY procrastination. But your binder set is beyond perfect, and adorable to boot. I’m gushing, I apologize, but thank you thank you thank you!!!!! WOW!! This is amazing and perfect for our families goals this year! Thank you so much for sharing!!! P.S. I really like your blog, its the first that I’ve come across where I didn’t just scroll through. I truly enjoyed exploring this site. Keep up the great work! This is AMAZING! I love this system! The only question I still had was between the Weekly Ledger and the Monthly Ledger … it is like the check register sort of, right? What would I use the Monthly Ledger for, as opposed to the weekly ledgers to keep track of deposits/withdrawals? Sorry, I’m new! I’m a little confused by this as well. Do you transfer the weekly starting and ending totals into them? If so then wouldn’t you only need 4/5 lines? Or do you only use one or the other? Thank you!!! I printed everything out and got it all set up in a binder and really really am looking forward to actually doing a Budget!! I need to figure out what money is going where LOL!! You are a GODSEND!! I have been looking for a budget template and thankful I ran across yours on Pinterest! Thank you from a frustrated mom. You are so very welcome Iesha. Happy that you found my site and that it’s what you were looking for. Enjoy! Love this!!! I have been looking for the past week for printable forms and have even tried to make my own but I wasn’t happy with anything. I love these and they were just what I was looking for! Thanks!!! Yay! So happy you found this Erica. Enjoy! Love this! Thanks so much – always love your printables!! Thank you so much Kerry. So happy to share. Ha! Sounds perfect Kathleen. And yes, start good habits now. I’m kicking myself that I wasn’t more diligent from the start! Thank you so much! Can’t wait to try it out! And just last week i was trying to figure out what to do differently because I really am not that thrilled with our current system, but everything out there seems far too complicated for me. I love simple, and this is exactly what I need! You are just amazing. :) Thank you for generously sharing what you do so well – you are much appreciated! Yay! So happy to help Andrea. I hope it works out for you. Hi Janine- thanks. D stands for deposit and W stands for W. Hope that helps! As always,… you have read my mind. I so LOVE your creations. Thanks for sharing everything. Thanks Michelle. So happy to share! Thank you for sharing! I’m sure this will be a blessing to a lot of folks starting off the new year! Thanks Jamie! I hope lots of people enjoy! Me too!! Just saying yesterday I need to so a budget this year, wake up today, and here it is!! I’ll let you know how I go!! Perfect. Happy to help you too! So happy to be of some help. Indeed God works in mysterious ways. Enjoy! These printables are absolutely gorgeous! I use a binder but I use the mini one so that way I can put it in my purse and take it with me anywhere. I would be forever grateful if you could PLEASE make these printables for the mini binder? You could reduce them on a copy machine to fit your binder. You are AWESOME! Thanks for sharing your awesomeness with all of us at in blog land ;) PS — I am a statistic too. But trying to not be! Thanks Gabby!! So happy to share. I’m trying not to be a statistic too… as long as it gets done, I guess it doesn’t matter, right? Hi, Im really loving your binder sheets. I cant wait to use them to create my own binders. I love how thorough they are. This is so awesome! I am terrible at staying on a budget. But I think this could really help me. Thanks Mique!! I so need this! Thank you so much for sharing… Pinning! Wow!!! Mique!! You have put together something so great! I have worked on this system since I had my first son, and it is not even close to this level of organized.. Similar, but not as good by half. Thank you!! Thanks so much Nikita. It is SO easy to throw your hands up. I’ve done it many times! Thanks for the comment. How do I get this really like the idea. Hi do you have a binder with a grocery store list and coupons? If so I could so use one to help me organized and save $.